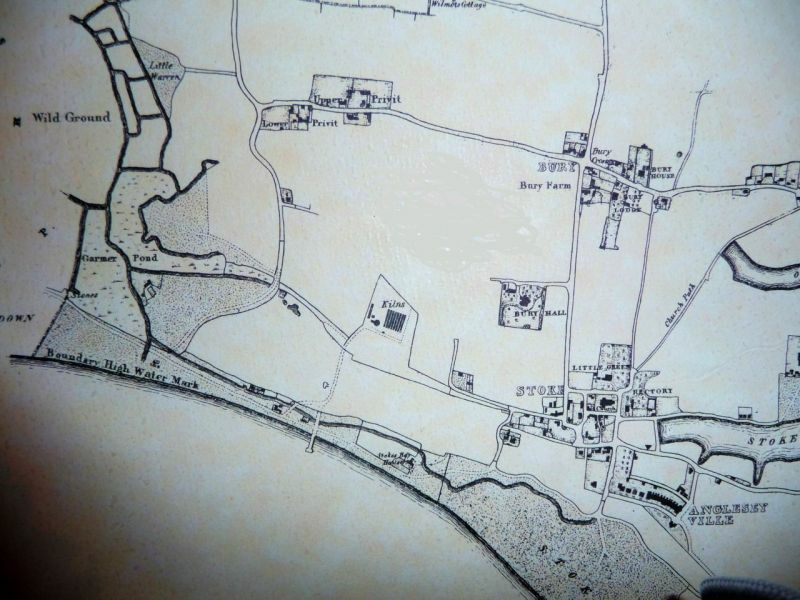 In 1785 the Royal Ordnance acquired land at Stokes Bay for a proposed new fort on the site where Bay House was eventually built. The proposal to build a fort was abandoned but the land was used for a brickworks. The Old Brick Establishment of 1788 is shown on a plan of 1801 whilst another plan of 1820 labels this as site of brick establishment recently, land ordered to be let by the board. To the east of this is shown another brick works, built around 1806, labelled as Old Brick Establishment, reserved. Each establishment had a pier. Between the two access roads stood a public house, Stokes Bay House, not to be confused with the later house built by Lord Ashburton. 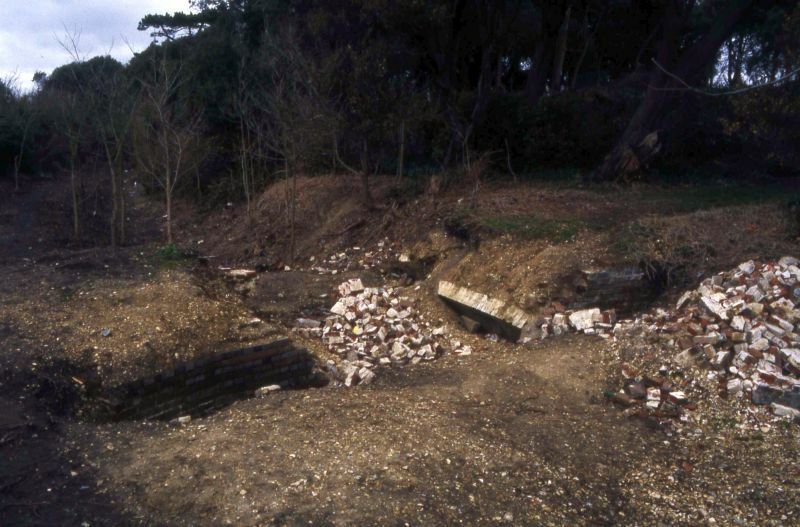 To the north of the brickworks was a brick earth excavation, which can still be seen as a hollow forming part of the gardens just inside the north entrance to Stanley Park from Western Way. 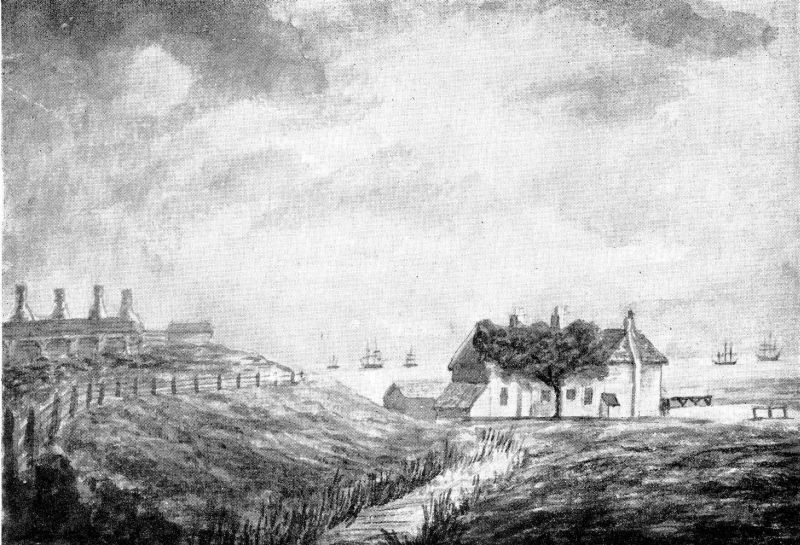 The brickworks can be seen to the left of the Old Stokes Bay Public House in a painting of circa 1828. By 1828 the brickworks at Stokes Bay was relocated further inland. The contractor engaged to build Clarence Victualling Yard at Gosport, Hugh McIntosh, was allowed to buy Stokes Bay bricks from 1828 and this gave the Stokes Bay yard a new lease of life. This plan of 1832 shows the old brickworks of 1788 and 1806 are no longer there, but brick kilns can be seen to the north of the brick earth excavation. After the completion of Clarence Yard in 1832 the brickyard at Stokes Bay was removed. The existing road to Alverbank House follows the route from the brick establishment, over the old course of the River Alver to the pier, which is no longer there. 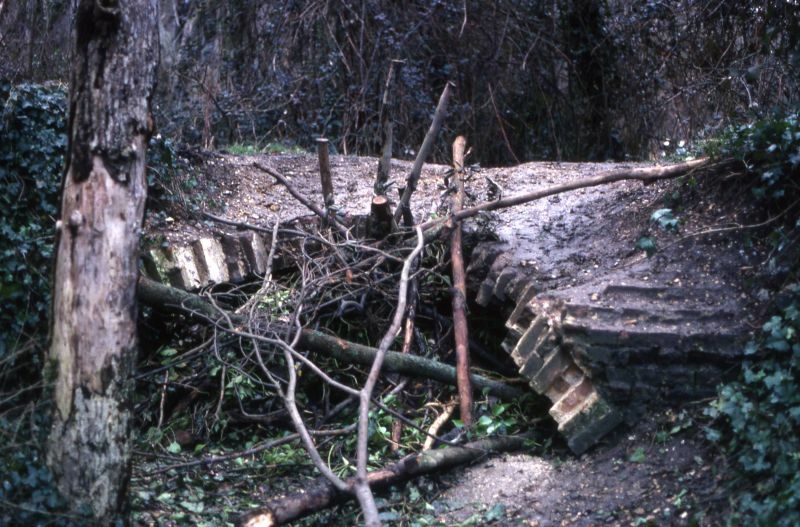 The little bridge which still stands is possibly the original bridge to the new brickworks, whilst further to the west another, smaller bridge can be found amongst the trees. This was reconstructed by Gosport Council in 1987. A plan in Portsmouth Library labels these bridges as "Mr Croker's bridge" and "Lord Ashburton's bridge" respectively with a third one over the Alver further to the west.